Newly renovated open floor plan home located on a cul de sac, close to town and schools in Bedford neighborhood. 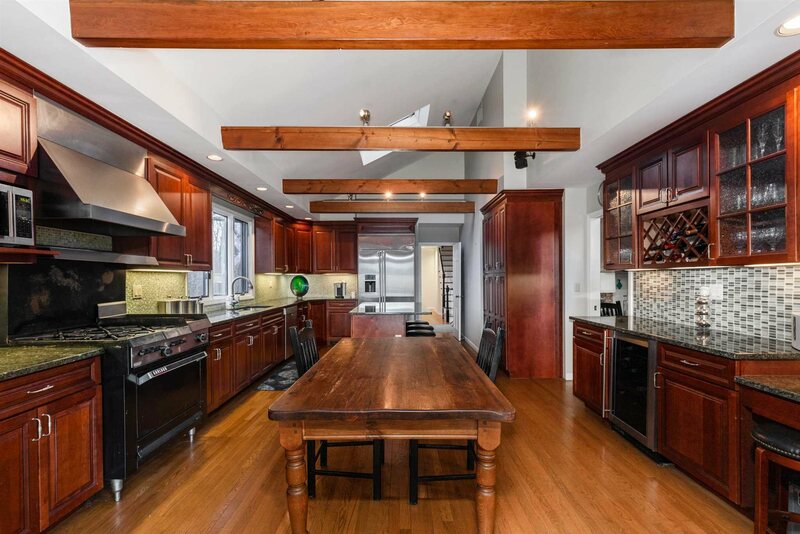 Vaulted ceilings and exposed beams throughout the first floor and into the large chef&apos;s kitchen complete with 5 burner gas range, granite countertops, cherry wood cabinetry, oak floors and restaurant-quality stainless steel appliances. First floor master bedroom features a large walk in closet, attached exercise room, bathroom with a large marble steam shower, marble floors and his and hers sinks. Cozy family room with fireplace that flows into a four season room (with wood burning stove) covered entirely in floor to ceiling windows giving you a complete view of the park-like property. Finished basement perfect for a playroom or additional hosting area!